10 Year Workmanship warranty that covers parts, labor and roof penetrations. APS Qualified Installer. Master Electrician on staff. NABCEP installation certification. 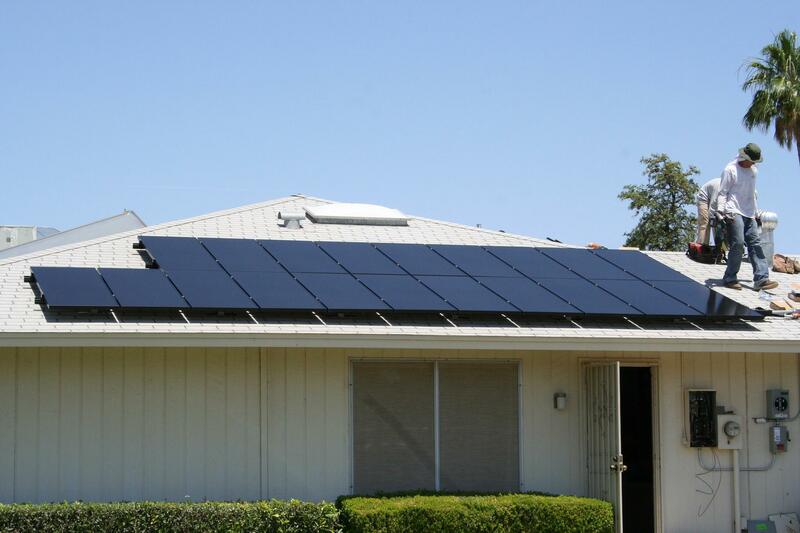 We believe that going solar should not be complicated or expensive. When you combine the best installation practices with the best equipment and the best financing solutions, you end up with the best performing system at the lowest cost. We are a local company and do all work in house. We pride ourselves on great customer service and being there for you after installation. We are BBB accredited and have an A+ rating. We hold the highest reputation on ROC. Going solar is a life choice, Choosing Sunny Energy is a decision, let us provide you with a no hassle free consultation. Sunny Energy, LLC - Offering Homeowners better choices to produce their own clean and inexpensive energy! Our management team is made up of industry veterans that have been working in the Solar Electric space since 2009. We have functioned as installers of both residential and commercial systems. We also have experience with the different solar technologies, manufacturers and financing platforms. We are part of a very select group of companies that have been certified be Tesla Energy to offer and install the Tesla Powerwall batteries. Experience give us a clean professional install. Look how clean our installs are. In house with master electrician and engineering. From the processing paperwork to installation and activation went all smooth no worries at all they do all the work! I highly recommend Sunny Energy for Solar. Everything went smooth. Everybody I talked to and/or worked with were very professional. I would not hesitate to recommend them to anybody. 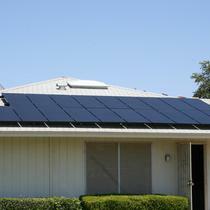 HIGHLY Recommend Sunny Energy for your residential Solar Panel needs. 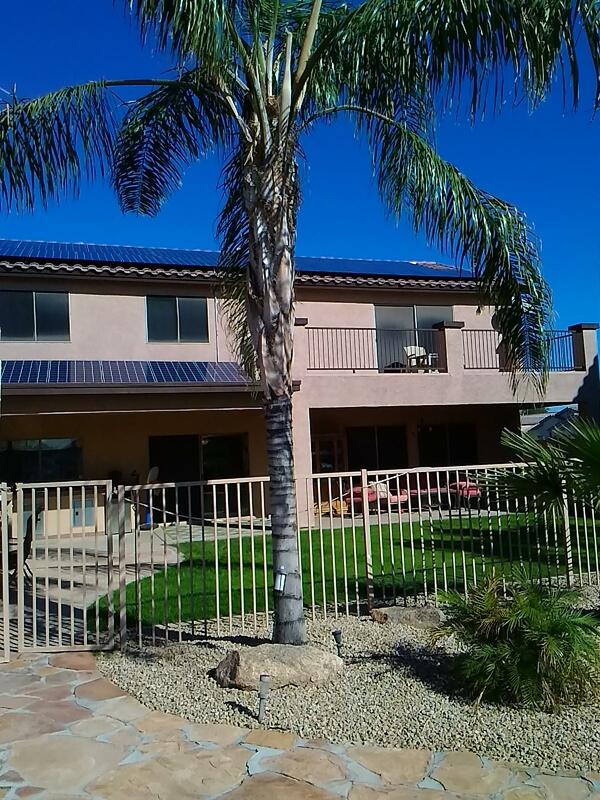 Living in Arizona, I felt somewhat obligated to at least consider Solar energy for my home’s electrical needs. I went into the venture not knowing if I could afford it or not, AND with an extensive list of questions. I eventually talked with 9 solar companies. Sunny Energy (Rich M) quickly moved to the top of my list due to Rich’s CLEAR explanations and patience in answering my questions. Only one other company even heard out my entire list. Rich researched a few obscure questions I had—and didn’t downplay my interest in knowing about them. Rich did not use the pushy salesman approach that ALL the other companies had employed. I needed time to decide if I wanted to move forward, but had decided on Sunny Energy if I chose to do so. Again, Rich and the staff were patient and not pushy. Once I decided to move forward, I had interactions with Rich and several of Sunny Energy’s staff over the phone. I was a very inquisitive and detail oriented customer, but Sunny Energy’s staff continued to make me comfortable to call them for any reason. I had numerous calls with Taylor and Kristina during this time. Both were courteous, patient and always either had an answer--or found out what the answer was. Excellent customer service. The installation process includes many steps, including inspections and a LOT of coordination. In every case, things were handled professionally. Again, any question I had about timing or clarification on where things stood was handled by Taylor and Sunny’s team in a flawless and courteous manner. If needed my concern was escalated to Chris W, who was the most reasonable upper management person I’ve worked with in years. He entertained any concern I had, and resolved every one of them. "Sunny Energy is THE Solar Solution"
If you're planning on going solar, talk to Sunny Energy 1st & LAST!! My sales rep, Trevor, did an awesome job explaining the process and alleviating any confusion. Everyone made sure to take care of me and my family from answering my questions with total professionalism and courtesy to keeping me posted on every step of the process and made this a truly painless experience. Thank you Sunny Energy, I recommend you to anybody looking to reduce their carbon footprint and put their money back into their budgets! I had a 9.9 Kw system installed in 2017, and I could not have had a better experience. From the initial meeting to the installation it was a seamless process. I was very fortunate that my sales person happened to be the customer service representative (Melanie Love). She met with me because the other sales-people were out on calls. Throughout the process every question, call, or text was answered within a few hours. And, I couldn't be happier with the results. I even had them add three additional panels this year (2018). My level billing has been in the $50-60 dollar range for a 2700 sq. ft. home. Currently the production is exceeding the original estimates. At this rate I will see a 100% return on my investment sooner than expected. The entire process went exactly how they said it would, and our system was up and running on time. Not once did we have to call and get a status update. Their communication with us was top notch, and we received exactly what we wanted! 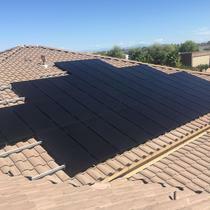 "Sunny Energy and our experience with solar"
We just recently had solar enery system added to our home.  We used Sunny Energy LLC. Every step was a positive experience! 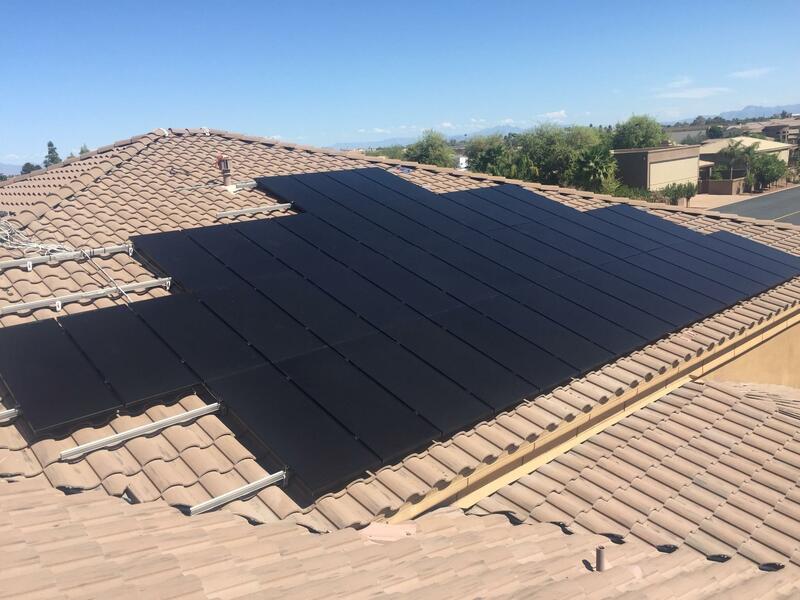 "Great Solar Company to work with"
Our sales rep, Jordan Kuntz, was very thorough in explaining how the solar system works and the different options that were available to us. We chose to purchase our system and it was one of the best things we have ever done. 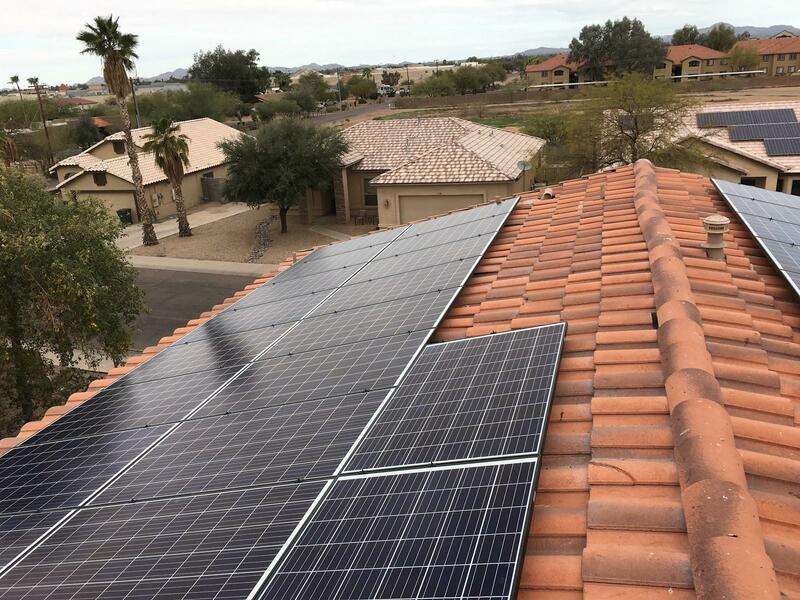 Once we purchased the system, Sunny Energy handled everything else in regards to the system, from permits, inspections, expert installation and working with APS to have our system turned on for use. If you are considering going solar, Sunny Energy is the best by far. "Fly First Class With Sunny Energy"
I've had my solar system installed for approximately 8 months now. If someone were to ask me if I had the opportunity to purchase my system again would I purchase it from Sunny Energy...….My answer would be "absolutely, without a doubt". Sunny did everything right starting with the sales process, installation and the commissioning process. All I was required to do was let Sunny Energy take care of everything. Now that the system has been up and running for 8 months, the system is doing everything I was told it would do. My electric bills are virtually nothing but fees and the payback of 7.9 to 8.0 years is tracking to what I was told. All of this validated the design Sunny Energy came up with and all I can say in closing is that Sunny Energy exceeded my expectations in all areas. 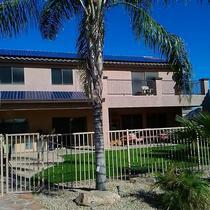 Sunny Energy’s team did a great job with our solar installation and consistently exceeded our expectations. They clearly explained the process and met or beat all time frames given to us. We are. Wet pleased with the savings we are seeing month after month. We highly recommend this company and would use them again. They are also just a phone call away from answering any questions that come up along the way. "Sunny Energy is the way to go!" 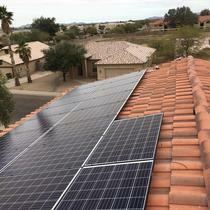 Sunny Energy was very informative, honest and kind throughout the whole process of getting solar installed at my home. They spelled out all of the benefits for me and explained the government push to promote cleaner energy. This whole process was seamless and relatively quick. That also includes the team work with APS (power company) jumping on board to complete the project. There are a lot of solar companies out there right now. Sunny Energy is the way to go in my opinion! They are up and coming and clearly care about their customers! I’d recommend sunny energy for your solar needs. They under promise and over deliver on everything. Sunny Energy has been great on explaining what size system will give me the best return on investment. This is refreshing since I have been told that 100% off set of my utility bill is the best system size. After meeting with Sunny Energy they took the time to explain the many options what would give me the best performance for my money. They also gave me multiple options on how to pay for my system. It was a pleasant experience with knowledgeable people that didn't pressure me in anyway.